Ejuva is a spam free zone. This privacy statement discloses the privacy practices for www.ejuva.com. At Ejuva, we want to demonstrate our commitment to your privacy. We believe that promoting and strictly adhering to fair information practices build customers’ trust and confidence using the Internet and helps to secure our future online. Ejuva is the sole owner of the information collected on this site. We will not sell, share, or rent this information to others in ways different from what is disclosed in this statement. Ejuva collects information from our customers at several different points on our website. We request information from the customer on our order form. Here a customer must provide contact information (like name and address) and financial information (like credit card number, expiration date). This information is used for billing purposes and to fill customers orders. If we have trouble processing an order, this contact information is used to get in touch with the customer. Ejuva’s website is secure and hackers can not access your private information. A cookie is a piece of data stored on the user’s hard drive containing information about the user. Usage of a cookie while on our site will only be used to link to personally identifiable information at your request. For example, saving your personal details in a cookie when you place an order so you don’t have to re-enter them the next time you visit the site. Cookies allow us to tailor our site to better match your interests and preferences. Most Internet browsers allow you to erase cookies from your computer hardrive, block all cookies, or require a warning before a cookie is stored. Please Note: Cookies must be enabled on this site or our shopping cart will not remember what has been added to it. We may also automatically collect and store: technical information when you connect to our site that is not personally identifiable, such as name of the domaine and host from which you access the Internet; the Internet Protocol (“IP”) address of the computer you are using, the browser software you are using, your operating system, and the time, date, and/or the Internet site from which you linked directly to our site. We use this information only as aggregate data to determine the number of visitors to various sections of our site, to ensure the site is working properly, and to help make our site more useful. We do not use it to track or record information about individuals. Ejuva uses a bank to process credit cards for customer orders. Our bank does not retain, share, store or use personally identifiable information for any secondary purposes. This web site may contain links to other sites. Please be aware, in the event that you choose to visit other sites via the links on our site, Ejuva is not responsible for the privacy practices of such other sites. We encourage our customers to be aware of when they leave our site and to read the privacy statements of each and every web site that collects personally identifiable information. From time-to-time our site requests information from customers via surveys or contests. Participation in these surveys or contests is completely voluntary and the customer, therefore, has a choice whether or not to disclose this information. Information requested may include contact information (such as name and shipping address), and demographic information (such as postal code, or age level). Survey information will be used for purposes of monitoring or improving the use and satisfaction of this site. Contact or survey information may also be used for marketing purposes, but only if you give your express permission to do so via a checkbox on the survey or contest application form. Existing customers may occasionally receive information on products, services, special deals, or a newsletter. Out of respect for the privacy of our customers we present the option to not receive these types of communications. Please see our choice and opt-out option below. Our customers are given the opportunity to ‘opt-out’ of having their information used for purposes not directly related to filling their order at the point where we ask for the information. Our order form has an opt-out mechanism so customers who buy a product from us, but don’t want any marketing material, can keep their email address off of our lists. We also supply an unsubscribe option at the bottom of every e-mail that we send. **These statements have not been evaluated by the Food and Drug Administration. Our products are not intended to diagnose, treat, cure or prevent any disease. © 2017. 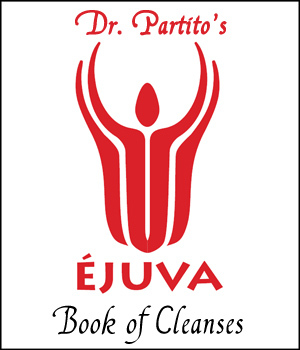 Ejuva - Body Cleanse. Designed & Developed by SEO Social Experts! Put in your email address and get access to 5 in 1 Book Of Cleanses worth $15.00 FOR FREE! THIS WILL AUTOMATICALLY SIGN YOU UP FOR BLOGS.